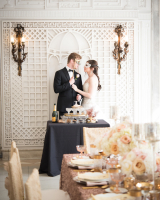 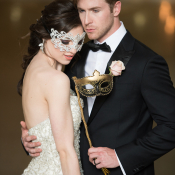 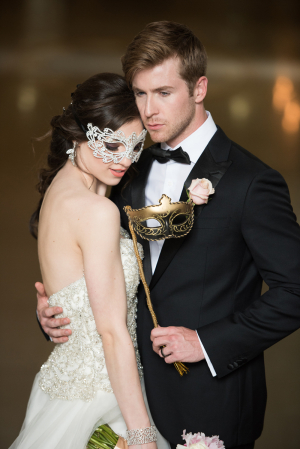 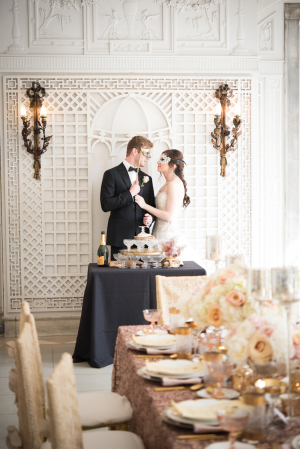 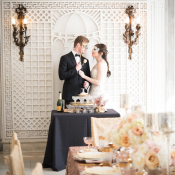 This glamorous shoot, designed by Vision of Elegance Events, was inspired by the masquerade balls of 15th-century Venice. 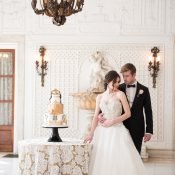 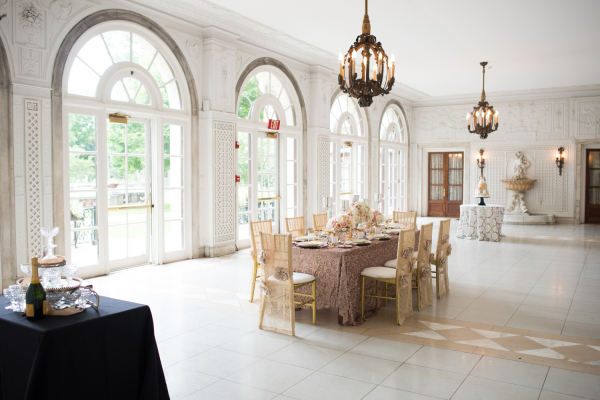 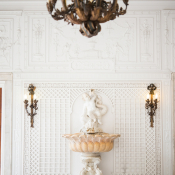 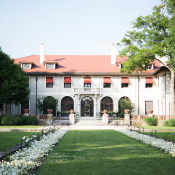 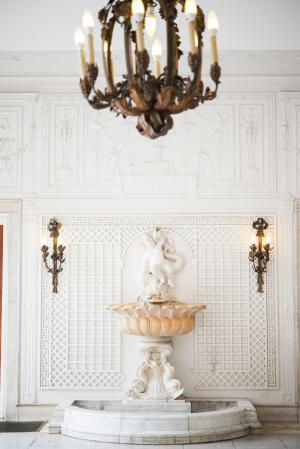 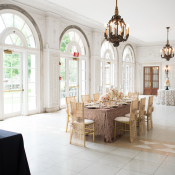 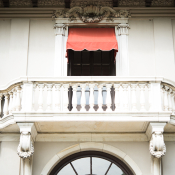 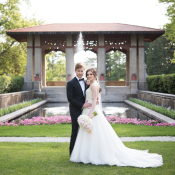 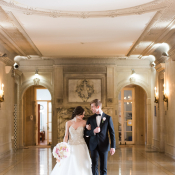 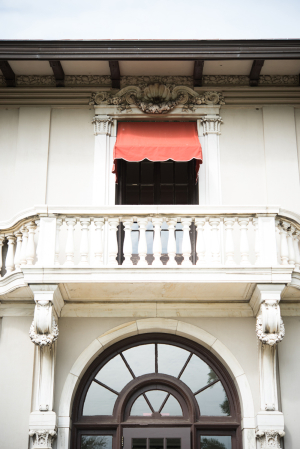 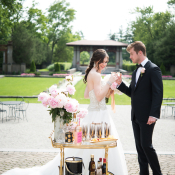 Lake Forest Illinois’ The Armour House, an Italian mansion with a grand staircase, light-filled paneled ballrooms, and expansive lawn, provided the perfect setting. 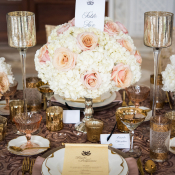 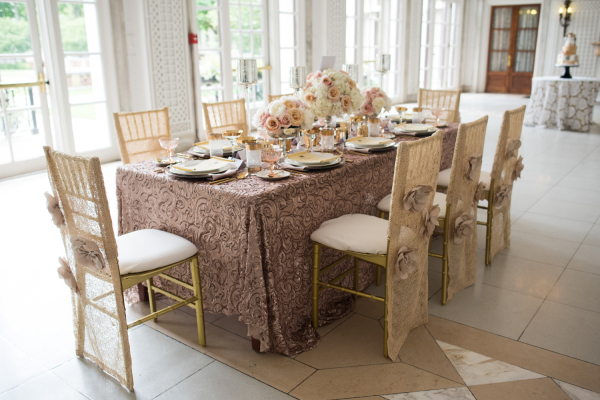 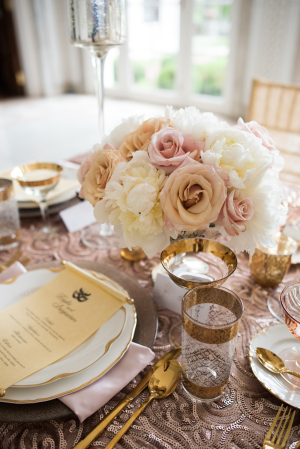 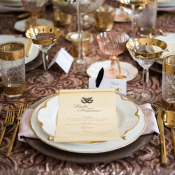 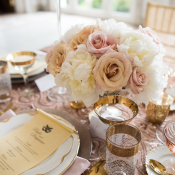 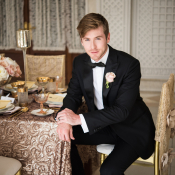 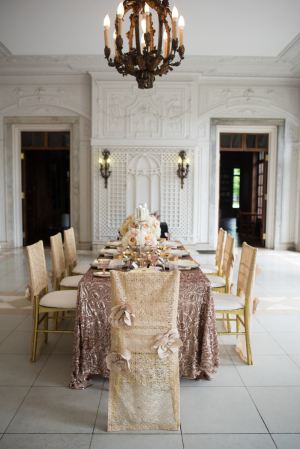 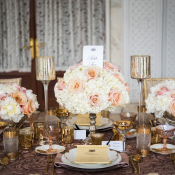 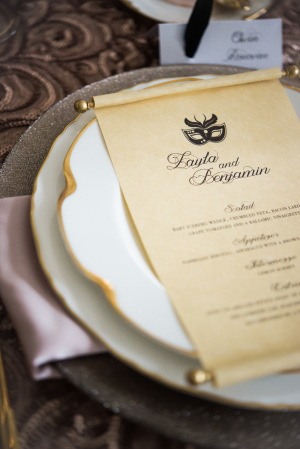 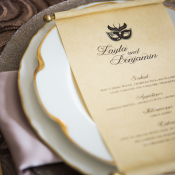 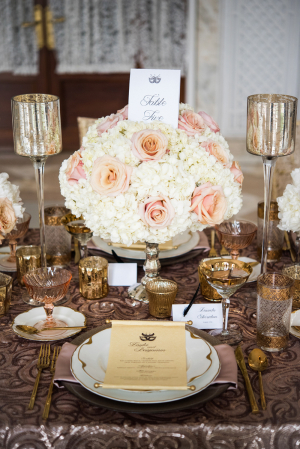 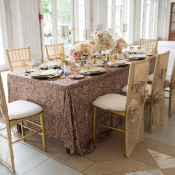 This modern twist on a masquerade features a glamorous tabletop in shades of rose gold, blush, and gold with florals created by Vision of Elegance Events. 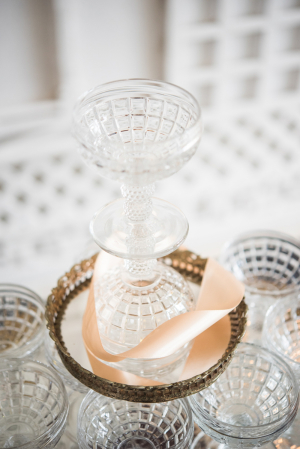 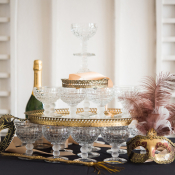 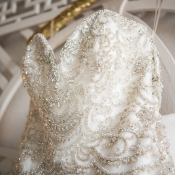 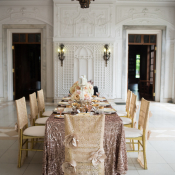 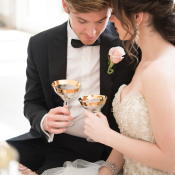 Luxurious details such as a Swarovski crystal mask from Rodwall Couture, textured linens from Nuage Designs, 3-tier champagne tower, and tableware from The Festive Frog added to this elegant affair. 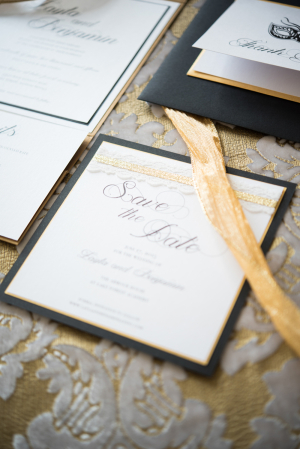 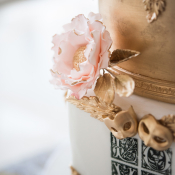 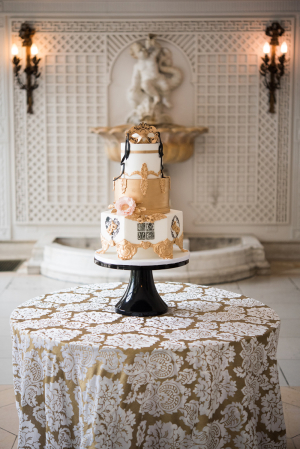 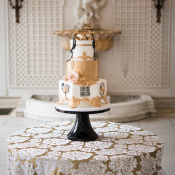 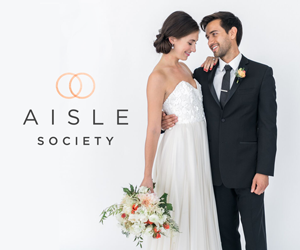 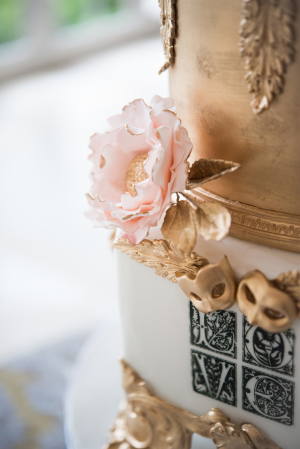 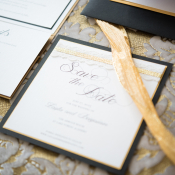 We love the on-point stationery designed by Pink Elephant Events, including a unique scroll menu, and an ornate stenciled cake from Elysia Root Cakes is the perfect finishing touch. 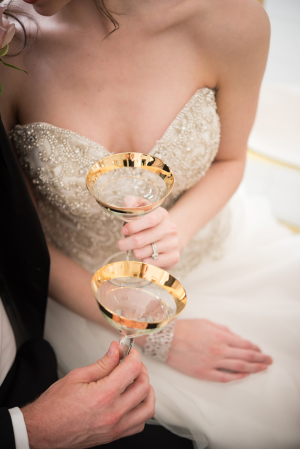 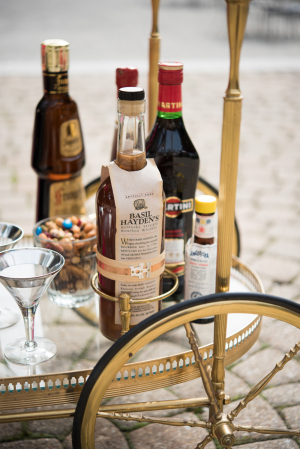 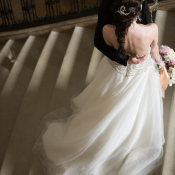 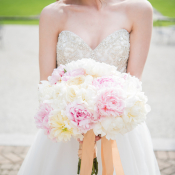 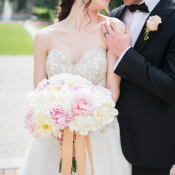 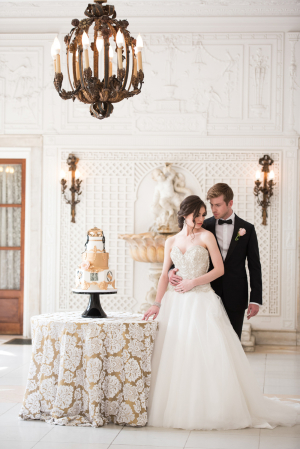 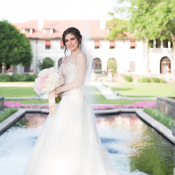 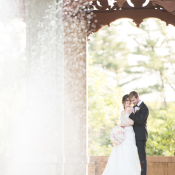 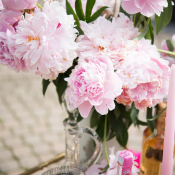 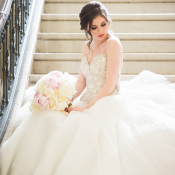 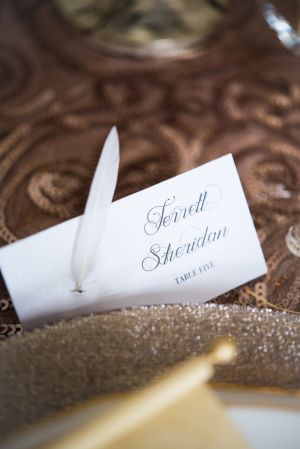 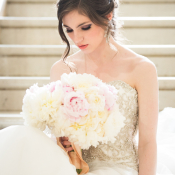 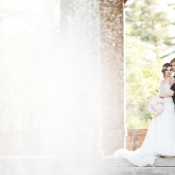 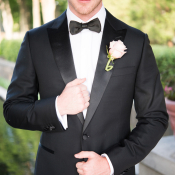 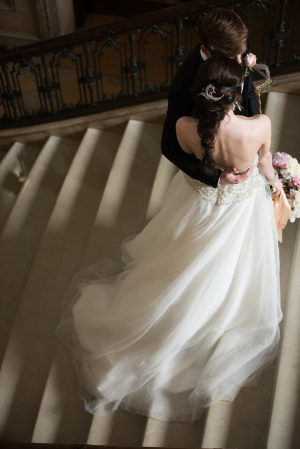 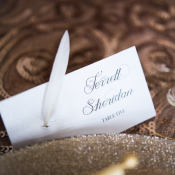 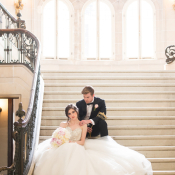 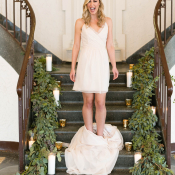 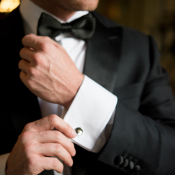 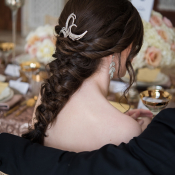 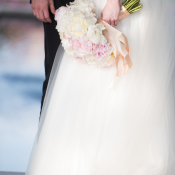 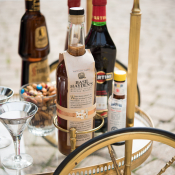 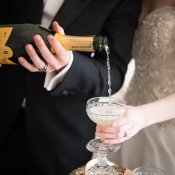 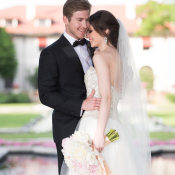 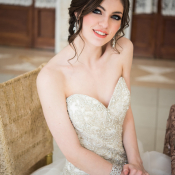 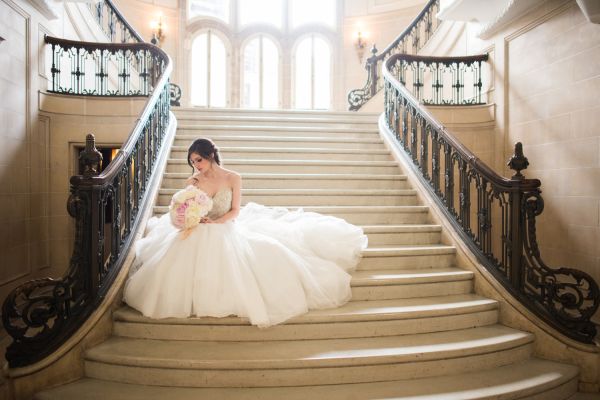 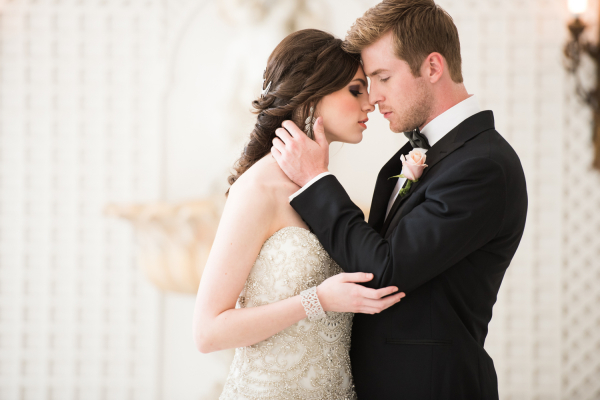 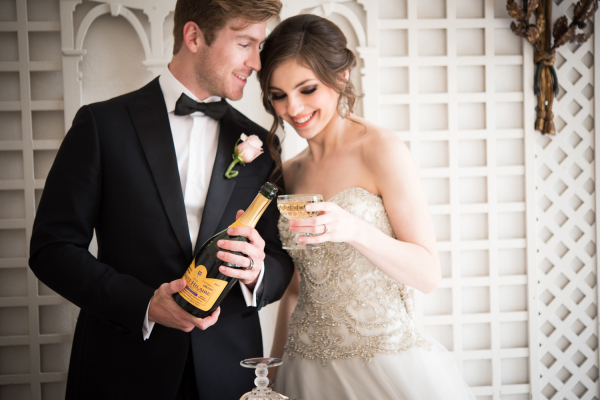 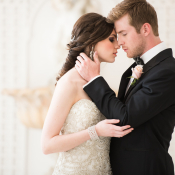 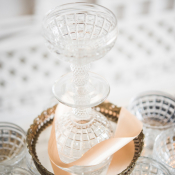 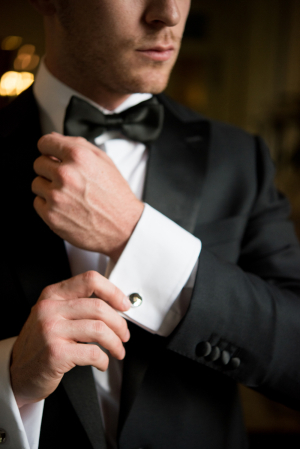 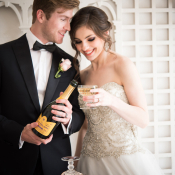 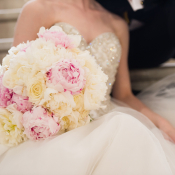 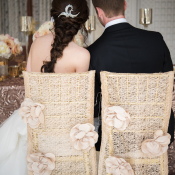 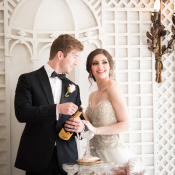 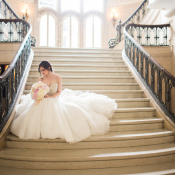 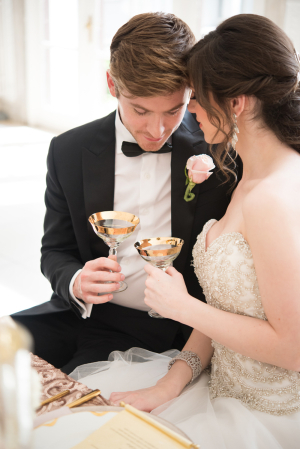 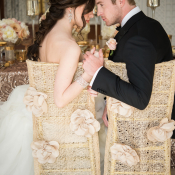 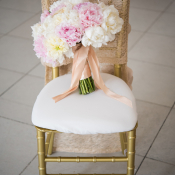 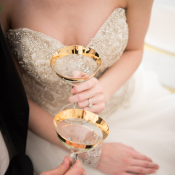 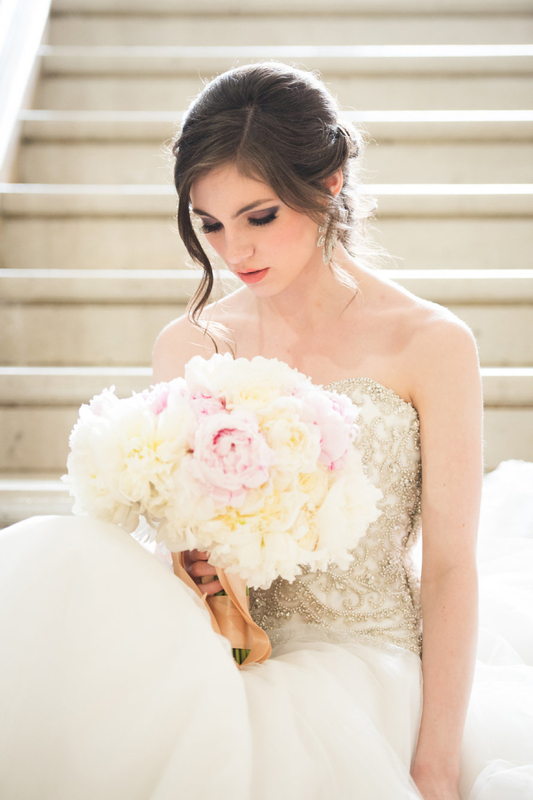 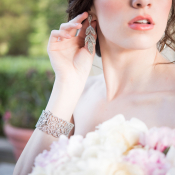 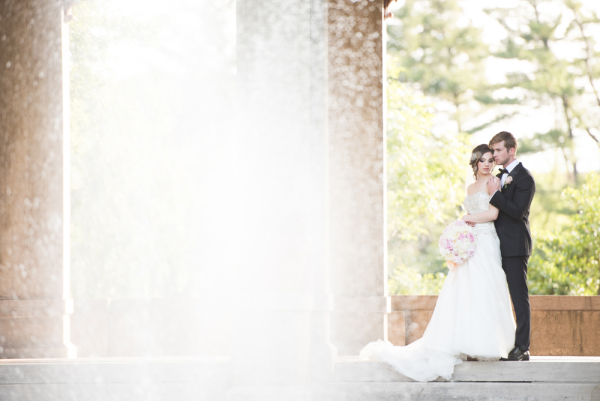 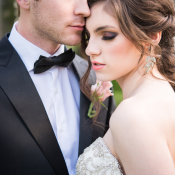 Every image is beautifully captured by Elizabeth Nord Photography!